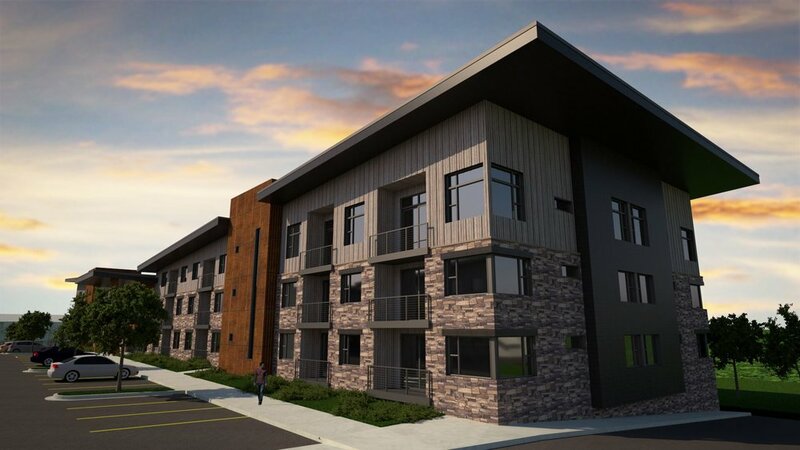 Growing demand from moderate-income renters, who in previous economic cycles would have become homeowners, has fundamentally changed the apartment market in Jackson Hole. 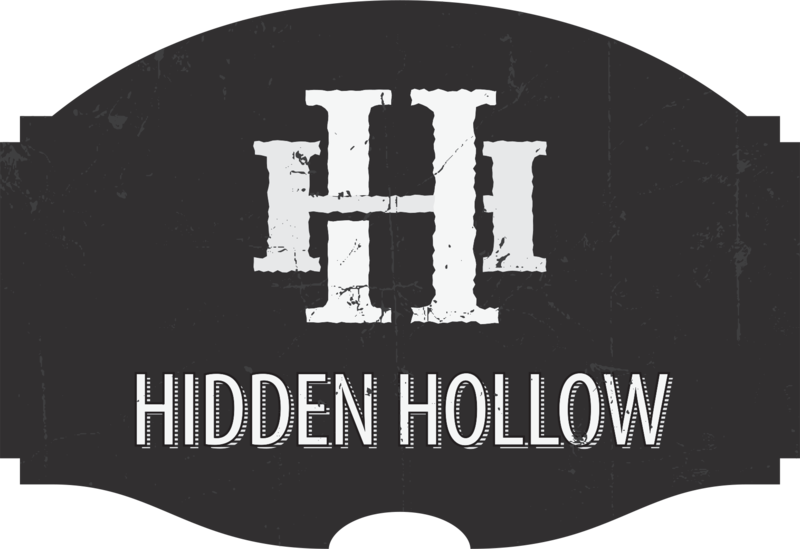 Hidden Hollow was built to address Jackson Hole’s paradigm shift by creating more diverse housing options where quality of neighborhood is the most important factor. Our luxurious apartments increase the caliber of housing available locally with a sense of comfort and community. Bordering the National Elk Refuge in Jackson Hole, Hidden Hollow embodies the best of all possible worlds in Jackson: affordable, scenic, and close to the very heart of the community. Come and visit Hidden Hollow and explore the unique opportunity to live and work in the historic Rocky Mountain West, in a beautiful setting along the Magnificent Teton Mountain Range. Like Amenities? Then you will LOVE Hidden Hollow ! We have the ideal location for your sanctuary nestled the National Elk Refuge one block away from the Town Square. Our urban retreats offer modern luxury in a 3-story structure where amenities are plentiful. Our elevators extend down into the underground parking complete with storage and a pet-washing spa for your furry family. Let Hidden Hollow amenities lift your spirit with granite countertops, in unit washer and dryer, and the fastest high-speed Internet featuring the latest technology. Walking, running, biking trails, and an aquatic center are right out your front door. Enjoy private decks, lobbies with fireplaces, a community coffee bar, on site mailboxes and much more. 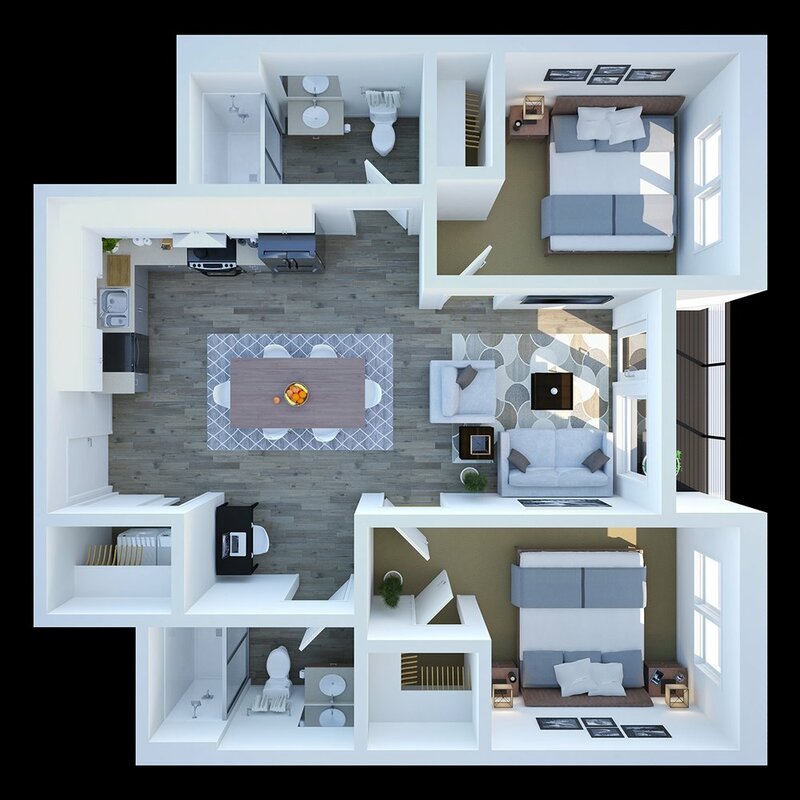 This is our practical one bedroom, one bathroom floor plan featuring with 642 sq. ft. of living space. This smart design includes two bedrooms, two bathrooms, and 979 sq. ft. of living space. 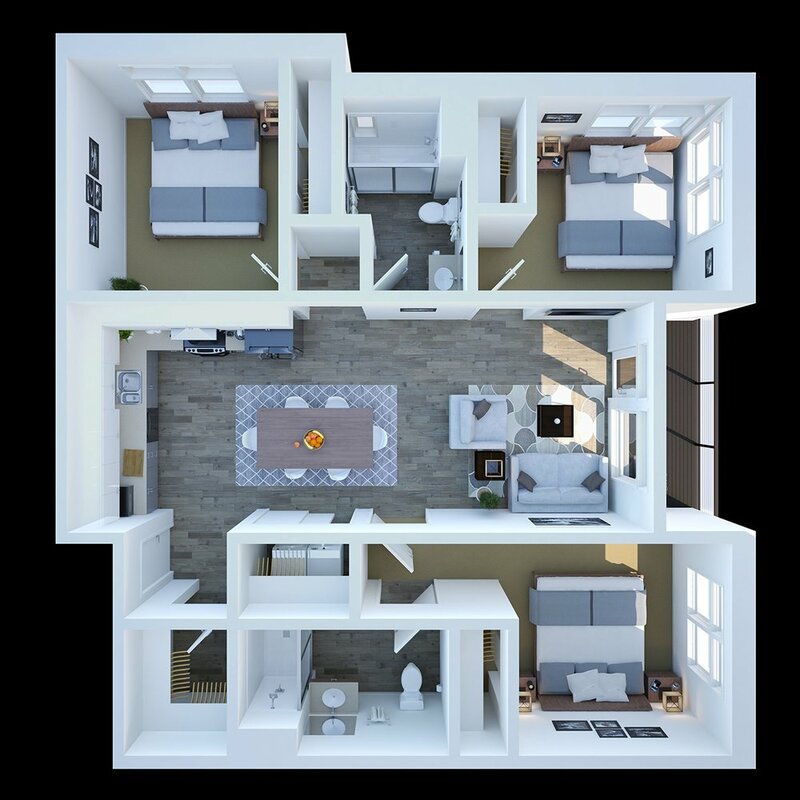 This is our legendary three bedroom, two bathroom floor plan featuring with 1,214 sq. ft. of living space.